It's like a Neon Yellow border-lining green in the right light. 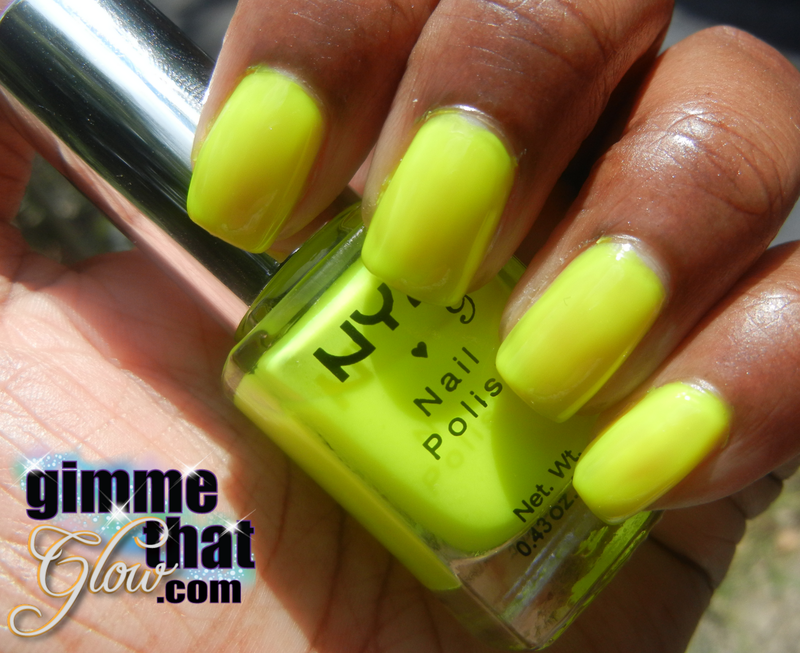 I've been loving the neon's for the summer especially green & yellows, it's all I've been getting on my pedicures lol. 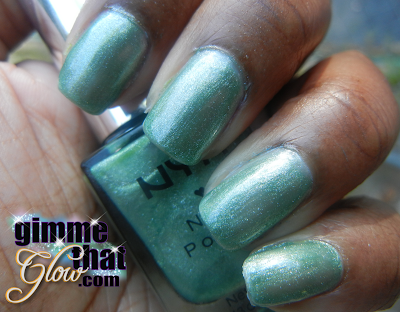 This color is sort of a soft shimmery emerald green. I really wasn't too sure about whether I liked it or not after first applying it but it grew on me when I saw it outside in natural light. This color is also really sheer so it took about 3-4 coats to get the coverage I wanted. 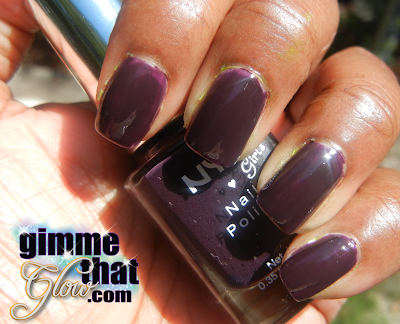 This is a really deep plum. Believe it or not I like it the most out of the four, I think that's because it's such a fabulous color for Fall which also happens to be my favorite season! 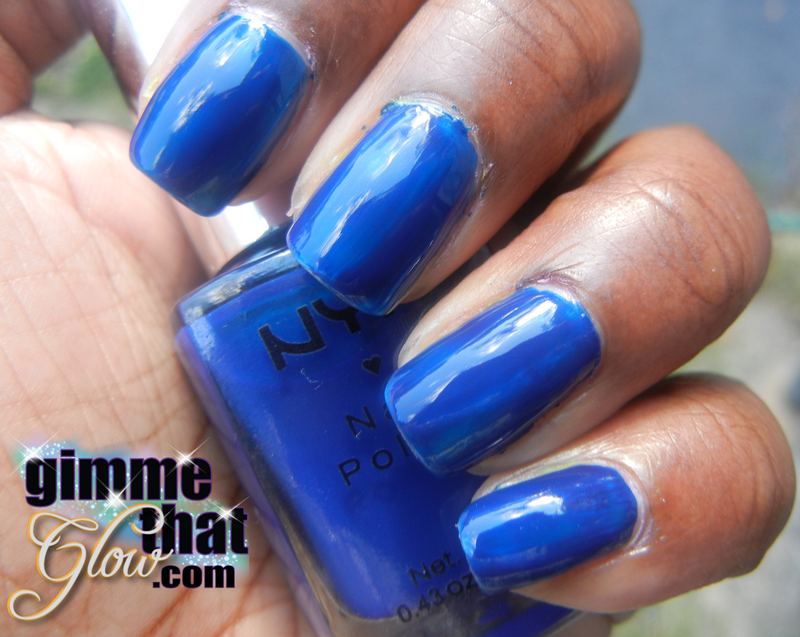 NYX Nail Lacquers can be purchased online at nyxcosmetics.com and also various retailers nationwide. I believe the prices vary too, my beauty supply store is actually the cheapest I've seen any NYX products, they were only .99 cent there.